Can we study the brain without using animals? The information obtained from these human studies far exceeds that obtained from brain studies that subject animals to painful manipulations including implanted brain electrodes, stressful behavioral trials often involving food and water deprivation, and certain death, without providing human-relevant information. The brain is an immensely complicated, indispensable organ. Virtually every function is controlled by the brain – it is the body’s command central. Understanding its workings is essential to curing a wide-range of diseases, including Parkinson’s, Alzheimer’s, traumatic brain injury, epilepsy, post-traumatic stress disorder, and neuro-psychiatric illnesses. Truly effective study of the human brain can only be done by direct examination, which can inform scientists far better than imperfect animal models. 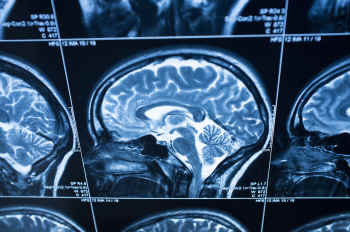 Impressive strides are being made in studying the human brain and how it operates. These developments are done entirely without animals and show great promise for new therapies in treating brain disorders. For the first time, scientists have elucidated the functional differences between the autistic and non-autistic brain. Using data collected from 523 autistic people and 452 controls, and a newly developed method for analyzing MRI scans, known as Brain-Wide Association Analysis (BWAS), researchers at the University of Warwick have created a panoramic, 3D model of the human brain. 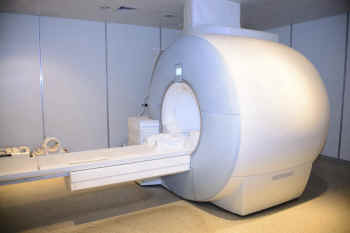 BWAS is a powerful integration of MRI and computer science, with the capability to analyze well over a billion individual pieces of data covering 47,636 areas of the human brain. The Warwick study allowed researchers to compare computer models of autistic and non-autistic brains, identifying key brain regions relating to autism. BWAS has the potential to be applied to other cognitive brain disorders, including ADHD and schizophrenia. At the VA Boston Healthcare System, researchers are testing the use of light therapy to treat brain disorders on veterans with Gulf War Illness. In the half-hour painless procedure, participants wear a helmet outfitted with light-emitting diodes and also have diodes placed in the nostrils to reach deeper into the brain. The LED light therapy has been shown to increase production of nitric oxide, which improves circulation, as shown by MRI scans. Studies indicate that LED therapy impacts brain cells that have been injured by explosions or exposure to neurotoxins used in warfare. Last June the VA researchers reported on the effect of LED therapy to successfully treat 11 patients with traumatic brain injury. Study participants showed enhanced verbal learning, memory, improved sleep and reduced symptoms of PTSD. As a result, three other VA studies are now underway to further test the effectiveness of LED therapy for chronic brain injury. The study examined children with a diagnosis of OCD and a comparison group free of psychiatric illness. 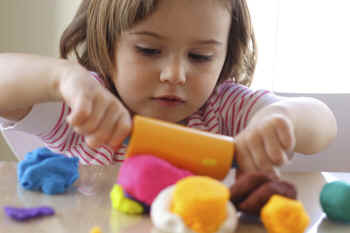 Using functional magnetic resonance (fMRI), brain images were collected while children carried out a basic memory task.